37 line illus. 14 tables. The authors explore the critical role of human migration since humans first departed Africa some fifty thousand years ago--how the circulation of ideas and technologies has benefited communities and how the movement of people across oceans and continents has fueled economies. They show that migrants in today's world connect markets, fill labor gaps, and enrich social diversity. Migration also allows individuals to escape destitution, human rights abuses, and repressive regimes. However, the authors indicate that most current migration policies are based on misconceptions and fears about migration's long-term contributions and social dynamics. Future policies, for good or ill, will dramatically determine whether societies can effectively reap migration's opportunities while managing the risks of the twenty-first century. 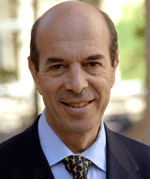 Ian Goldin is director of the Oxford Martin School, University of Oxford, and professorial fellow at Balliol College, Oxford. He has served as vice president of the World Bank and advisor to President Nelson Mandela, and chief executive of the Development Bank of Southern Africa. His many books include Globalization for Development. Geoffrey Cameron is a research associate at the Oxford Martin School, University of Oxford. He is currently principal researcher with the Bahá'í Community of Canada. Meera Balarajan holds a PhD from the University of Cambridge and works for a research organization in the United Kingdom. She has also worked for the United Nations, a UK government department, and a grassroots NGO in India.